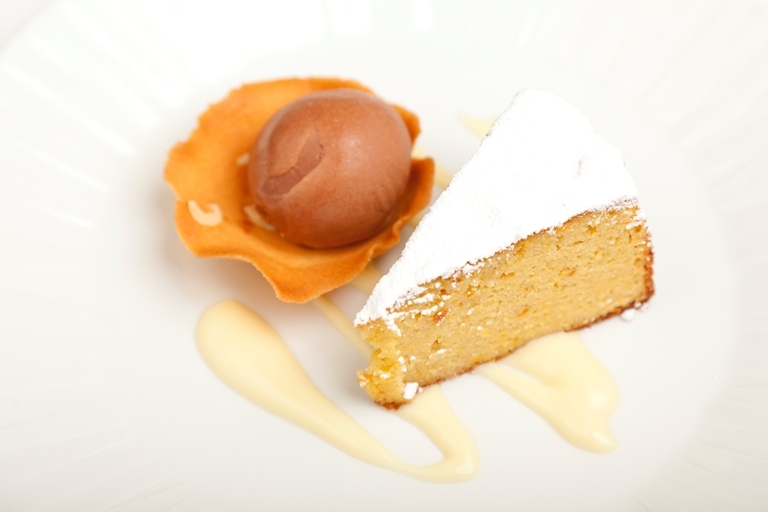 This brilliant gluten-free and dairy-free orange cake recipe from Shaun Hill plays on the flavours of frangipane, a traditional almond pastry filling. Whole oranges are steamed until soft and puréed into the almond cake batter to create an incredibly moist and fragrant sponge. If not serving to guests with intolerances, a chocolate mousse or sorbet is a delicious accompaniment, playing on the classic pairing of chocolate and orange.